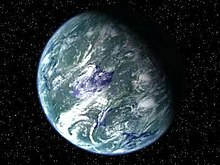 The forest moon of Endor is the second moon of Endor, and it is where the habitat of the Ewoks is located. It is a densely forested moon, like the name suggests, and it is populated by giant trees. In Star Wars Episode VI: Return of the Jedi, the Ewoks think that C-3PO is a deity and the rebels form an alliance with them. Han Solo and a band of rebels take over the Death Star's shield generator on Endor and destroy it with the assistance of the allied Ewoks. Ewoks are friendly mammalian creatures who live on the forest moon of endor. They are hunter-gatherers and look similar to teddy bears. The Ewoks help the rebels just because of C3PO's shinyness.